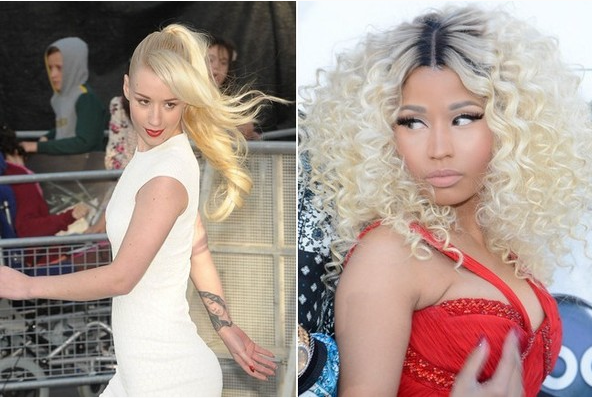 Iggy Azalea responds to Nicki Minaj and the BET incident. That’s how you quash a beef. chile please ain't nobody exhausting themselves about you, which is why your a flop. Rat face Izzy as hard as they are pushing you on the public your 15 mins. will be up soon. You have no skills or talent. What a PC statement from Icky ISmellYa on Sticki Garbaj shading the hell out of her.